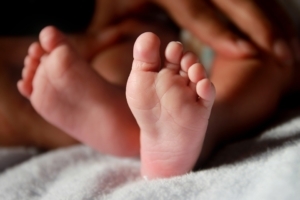 Newborn babies in Australia are given the opportunity to undergo newborn screening to identify those at risk of rare but serious medical conditions. A small blood sample is taken by a midwife or doctor within 72 hours of birth. The blood is collected by pricking the heel of the baby and placing a few drops of blood on the screening card. The blood sample is examined in a laboratory to detect conditions such as phenylketonuria, hypothyroidism, cystic fibrosis and other rare metabolic disorders. If a baby has a positive test result, parents will be contacted immediately and referred to a specialist for further testing. Early detection and treatment of these conditions before the baby shows symptoms and becomes sick, results in better outcomes for your baby.